Ok so maybe it snowed here a couple days ago but who isn't dreaming of the summer! I was just in Florida a few weeks ago and it was so nice to be in short and tee's again. 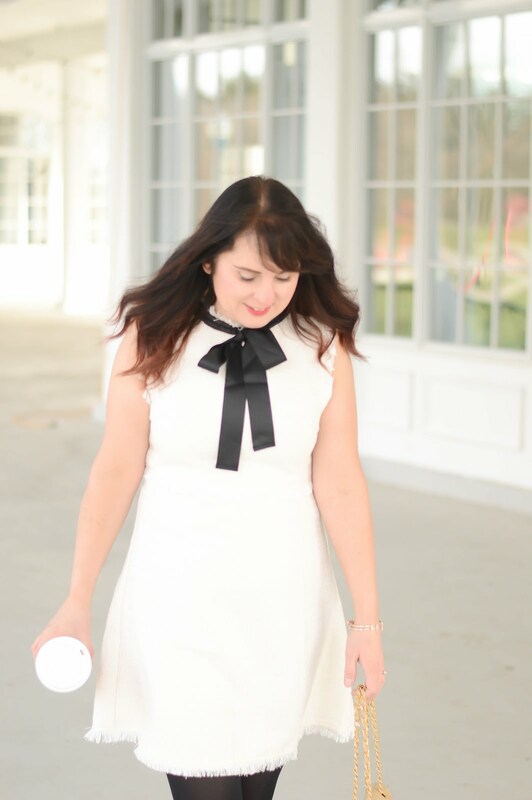 Normally in the spring and summer I like to revamp my beauty products a little bit. I put away the blushes and bring out the bronzers for a sun-kissed glow. Now I know I haven't done a beauty post in a while so let's today I am bringing beauty back with Benefit Cosmetic's Dew The Hoola. SO what is this Dew the Hoola? This amazing product that comes in the cutest of packages is a liquid bronzer. 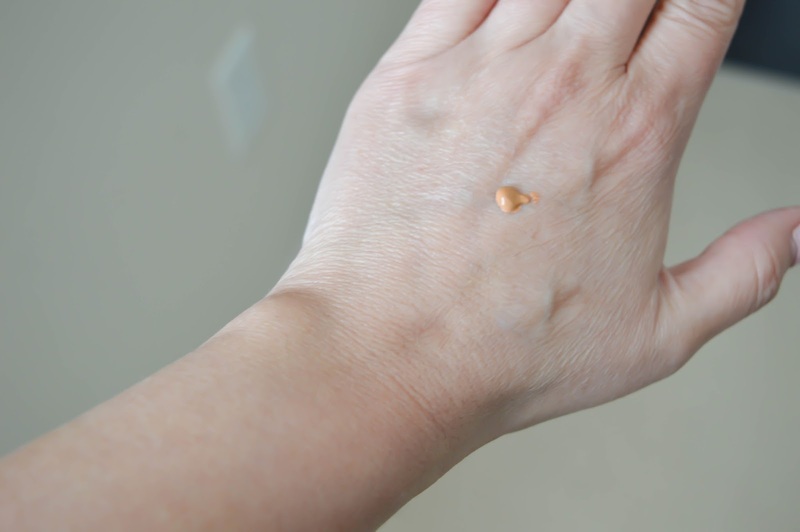 Now let me tell you what I love about the Benefit Hoola products, this bronzer actually makes you look sun-kissed. 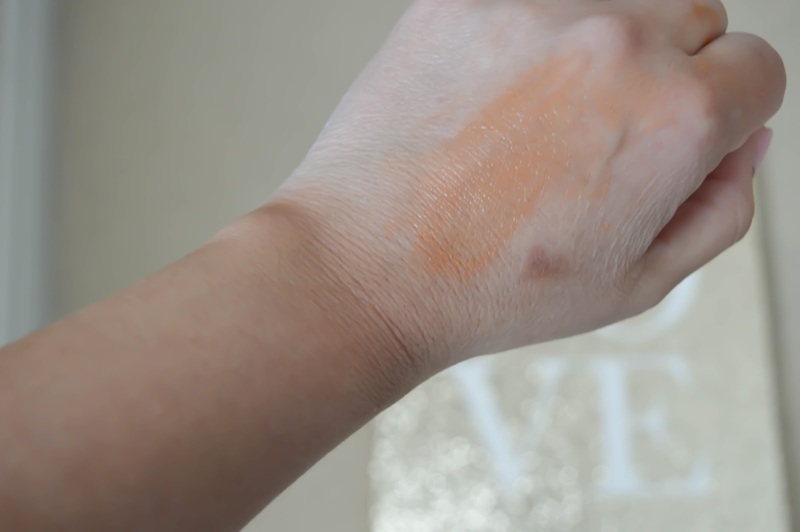 Many bronzers make my skin look 'orange' and not natural, and trust me this is the last thing you want. Hoola is the loveliest bronze shade on the market today, and Benefit hit another beauty homerun with the new Dew the Hoola. Dew The Hoola comes in a gold bottle that has a pump that you push down to release the product. A little goes a long way with Dew the Hoola. You can see by my hand below that the shade is truly a gorgeous bronze. When blended out Dew the Hoola goes on quite sheer and is buildable so that you can get the right amount of glow. I tend to start with a little and then add more as I need to. I apply this product in the same spots I would a powder bronzer, under my cheek bones, and on the far sides of my face between my eyebrows and bottom eye lid. 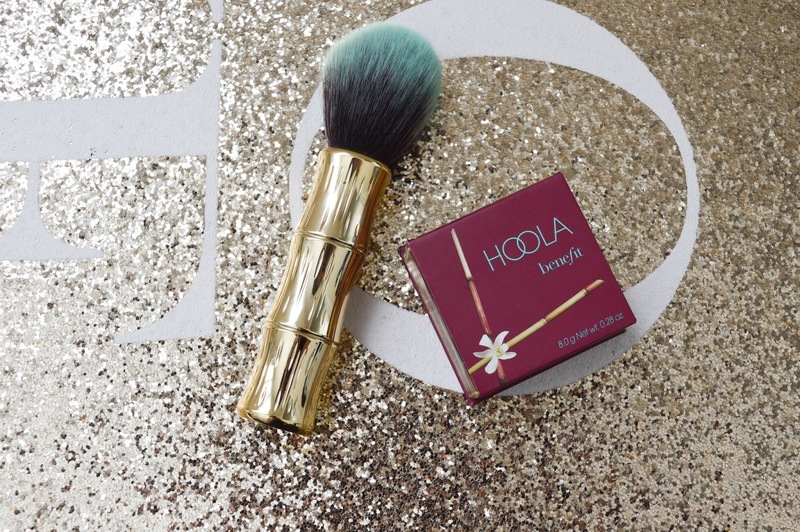 Now if you're not ready to take the liquid bronzer plunge than the original Hoola is for you! 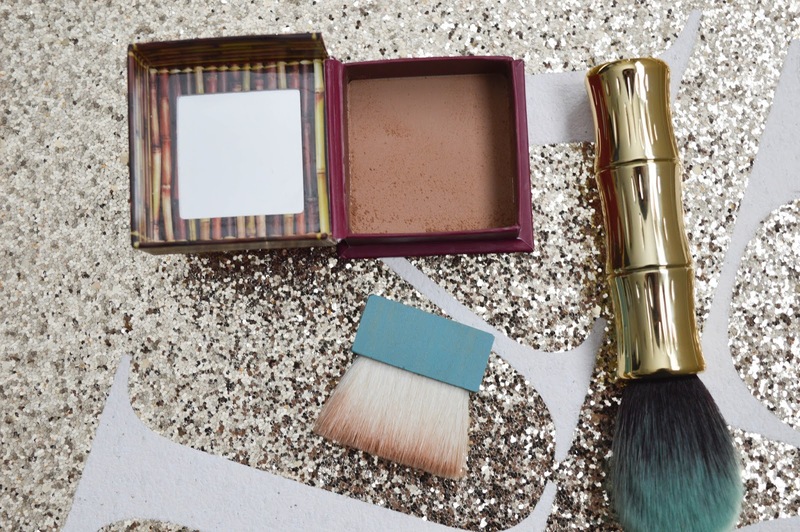 This bronzer comes in a compact box and has it's own special applicator brush. The brush does the work for you, if you want to contour this brush is amazing! I tend to use a fluffy brush when doing all over bronzing with Hoola (like the one shown below). The bronzer market seems to get more confusing by the day BUT with Hoola you will never go wrong. Here is a quick pic of how I like to wear Hoola, I use it to contour my cheeks and then I bronze around my eyes on the far side of my face.